Geology is the study of the planet Earth. It is concerned with the origins of our planet, the evolution of life, the materials and morphology of the Earth and its history. It deals with the processes that shape the present landscape and those that acted throughout geologic time. The Earth is a naturally occurring physical-chemical system; therefore geology draws on other sciences such as chemistry, physics, biology, mathematics and geography. The modern geologist is a well-rounded scientist. Geology is a practical science. Geologic knowledge is applied in the search for and sustainable development of Earth’s mineral and energy resources as well as the evaluation of groundwater resources and environmental concerns. The Earth is dynamic and geoscientists study and predict earthquakes, volcanic eruptions and other natural phenomena, and their mitigation. The Geology Department, in conjunction with alumni, the petroleum and mining industries, and appropriate government departments, operates a successful co-op work experience program for geology students. 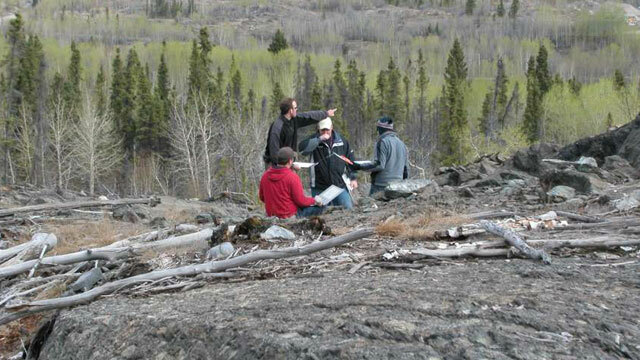 The four-year degree program provides the academic requirements to become a registered Professional Geoscientist. There are an abundance of employment opportunities and a chronic shortage of well educated Geoscientists. Most geoscience students have the opportunity for career-related summer employment.